The API Rena XP4 continues the tradition of excellence offered by the earlier versions of the Rena Filstar series but with a more powerful motor and added filtration options. 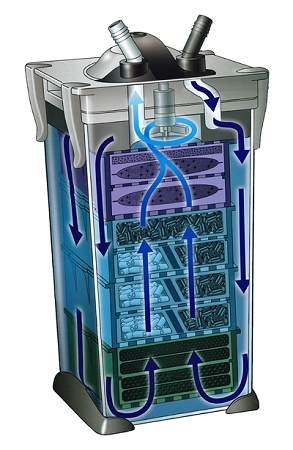 With a powerful flow rate of 450 gallons per hour the Filstar XP4 will work on the largest aquariums. 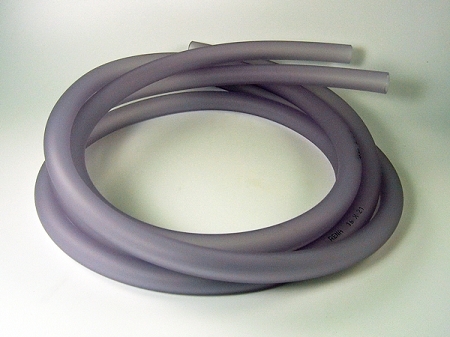 The XP4 has several features to accommodate the demands of larger systems; longer lengths of flexible tubing, 8 separate media chambers for maximum filtration options and a more powerful moter for largest flow rate of any Filstar XP filter. The Rena XP4 continues the tradition of excellence offered by the earlier versions of the Rena Filstar series but with a more powerful motor and added filtration options. 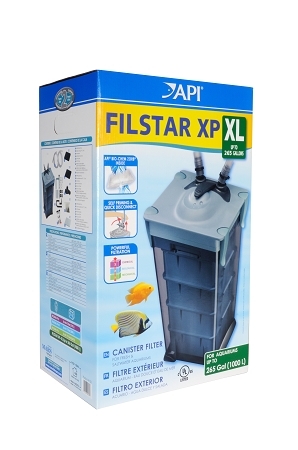 With a powerful flow rate of 450 gallons per hour the Filstar XP4 will work on the largest aquariums. 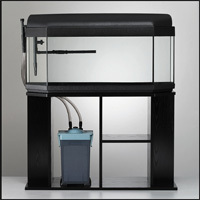 The unit features longer lengths of flexible tubing to accommodate the demands of larger systems, 8 separate media chambers for maximum filtration options, 20 BioChem Stars for optimum biological filtration and a new progressive level microfiltration pad which removes the finest particles for crystal clear aquarium water. 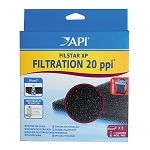 In addition, the unit features the standard filtration material included with the other Rena Filstar filters 2 each 20ppi/30ppi foams (pores per inch) for mechanical filtration and BioChem Zorb for removing ammonia, color and odors. Q: I have the xp4 but i cant get it to prime. 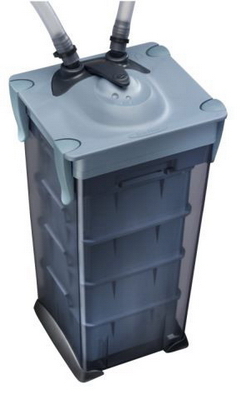 It does not have the priming hole on the intake and although it fills with water, the fill line is about at the motor assembly lid line and it makes a loud rattling noise. It seems like an air bubble and even though I shake the cannister it never stops bubbling out the outake hose. Why wont the cannister completely fill up? How do I lose the bubble? and stop the noise? sometimes it just shuts off on pumping water through the intake and outake too. what am i doing wrong? A: If this is a custom setup that does not use the standard inlet/outlet accessories you so you lose the advantage of automatic priming after setup. 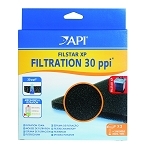 This is one of the main features of this filter since it makes restarting very easy after cleaning and diagnoses any air leaks on the intake side that can stop the filter canister from filling. 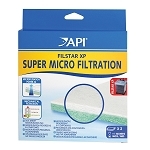 For free help with this contact the manufacturer, Mars Fishcare. 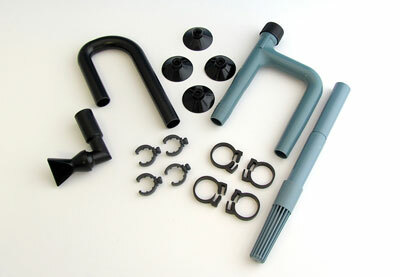 Rena Aquatic Supply offers help for custom systems. Cost is 19.95 per incident. Contact us directly with your credit card info to get started.